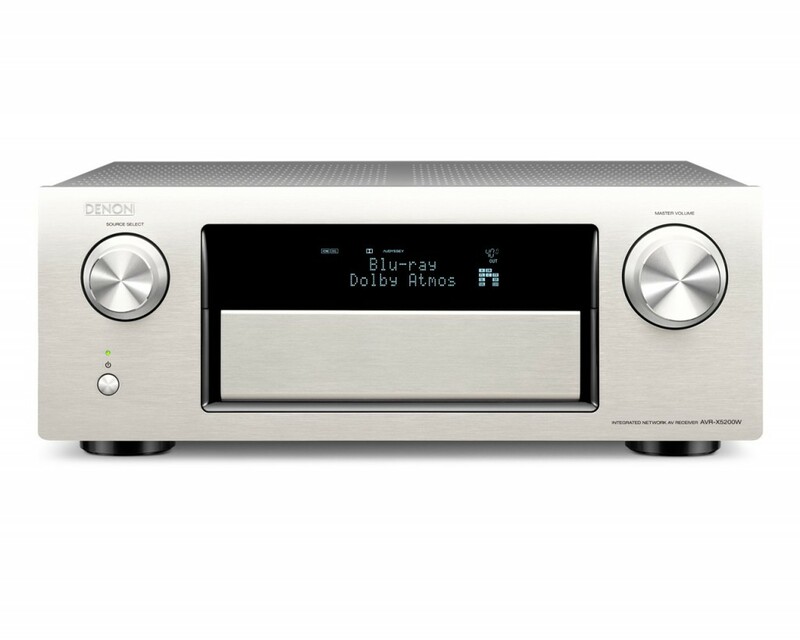 DENON AVR-X520BT, 329€, no network, no HDMI-CEC. 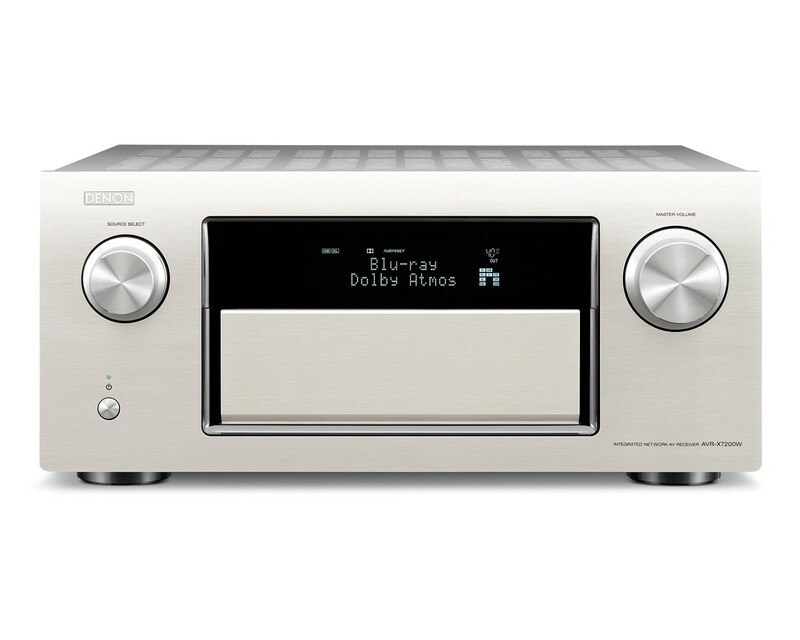 DENON AVR-X4200W, 1499€, AirPlay, DLNA, Spotify Connect, DTS:X 9.1, Atmos 5.1.4, Auro 3D upgradeable. 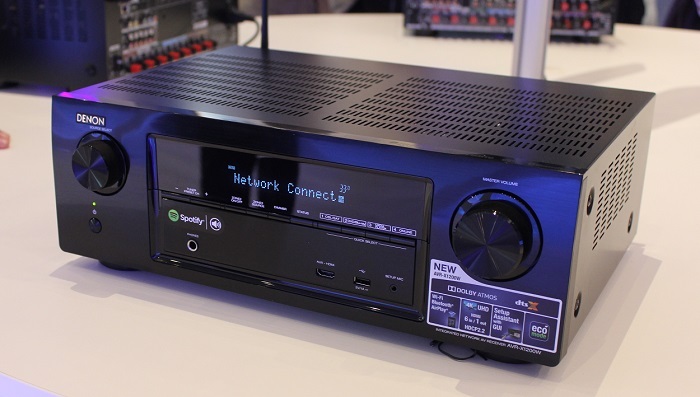 DENON AVR-X6200W, 2299€, 11.2 processing receiver, AirPlay, DLNA, Spotify Connect, DTS:X 11.1, Atmos 7.1.4, Auro 3D upgradeable, 9x205watt@6ohm. 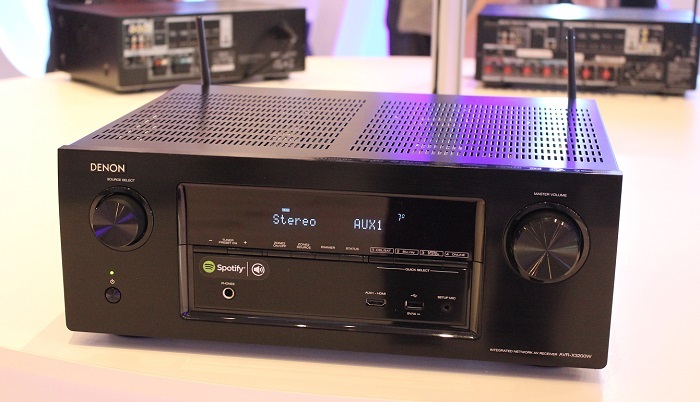 Denon X520BT will be priced around 329€, and should be avaiable from june 2015. 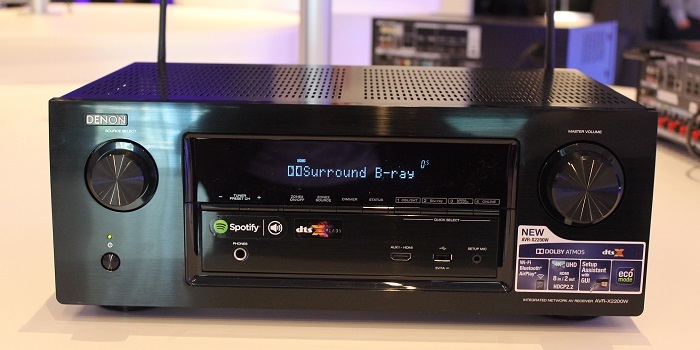 It will be the entry level model in Denon’s program. It will be equipped with 4K pass through, 4:4:4 color space, HDCP 2.2. But it won’t be equipped with network functions like AirPlay, no ARC, HDMI-CEC. No Audessey. 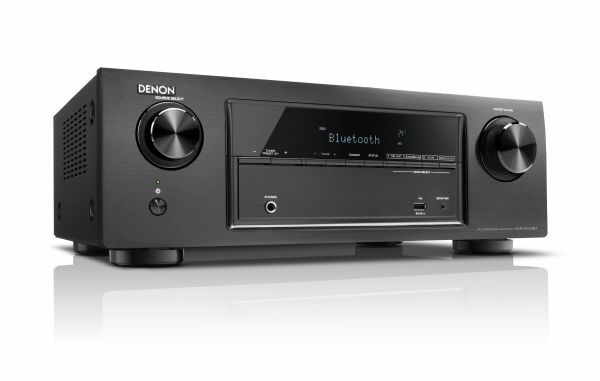 Denon’s entry level Dolby Atmos 5.1.2 / DTS:X receiver. HDCP 2.2, 4K ready receiver. 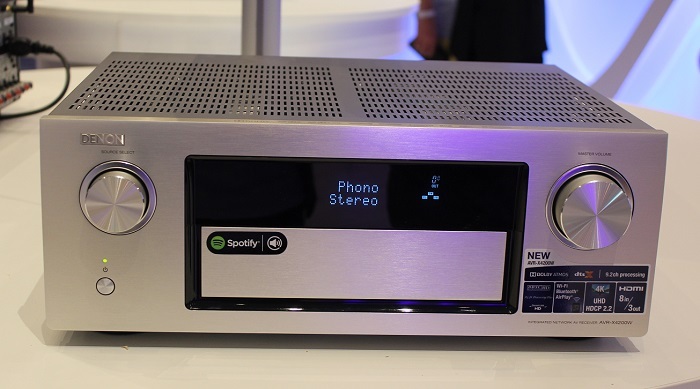 Denon’s smart ECO mode amplifier. Equipped with AirPlay, DLNA, Spotify Connect etc. Dolby Atmos, HDMI 2.0, HDCP 2.2., DTS:X, Dolby Atmos 5.1.2 ready. Eco mode, AirPlay, DLNA, working with Denon iOS / Android app. HDCP 2.2, 4K@60hz, 9.2CH processing. 7ch amplifier. 8 HDMI’s in, 3 out. AirPlay, DLNA, DTX:X, Dolby Atmos 5.1.4. Exactly the same as last years X7200W, just upgraded with a HDCP2.2 HDMI board, and able to being upgraded with the DTS:X.